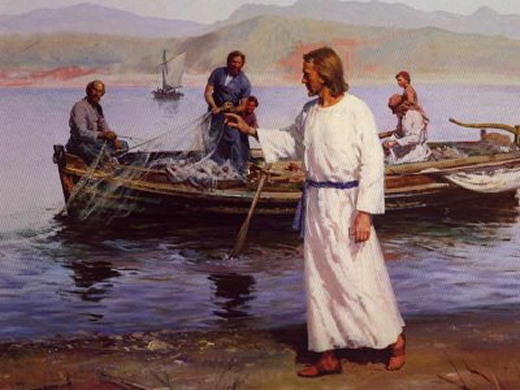 who is called Peter, and Andrew his brother, casting a net into the sea. it comes forth like a bridegroom out of his chamber; it rejoices like a champion to run its course. then shall I be whole and sound, and innocent of a great offense. Today the church remembers Saint Andrew the Apostle. Andrew was the brother of Simon Peter. In fact, he was in part responsible for Peter's call, for he went and "found his brother Simon" and brought him to Jesus" (John 1:41-42). Andrew was a fisherman by trade. He was a follower of John the Baptist before being called by Jesus as a disciple. It was Andrew who told Jesus about the boy with loaves and fishes at the feeding of the five thousand. Andrew also assisted in the distribution of the food on that occasion. Tradition tells us that Andrew worked among the Scythians, ancient inhabitants of a part of modern Russia. He has long been the patron saint of Russia. Andrew is also the patron saint of Scotland, and the Scottish flag bears the X shaped cross usually associated with him. It is believed that he was bound to such a cross and thus met his death at the hands of angry pagans. 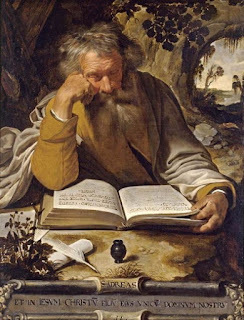 Today members of the Brotherhood of St. Andrew emulate his action of finding his brother and taking him to Christ. The Brotherhood of St. Andrew is an informal association of men and boys in The Episcopal Church. 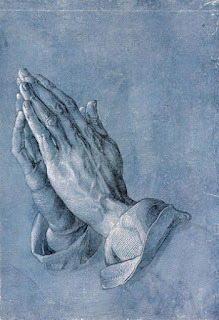 Almighty God, who gave such grace to your apostle Andrew, that he readily obeyed the calling of your son Jesus Christ, and followed him without delay: Grant, we pray, that we, who are called by your holy Word, may offer ourselves in glad obedience to your service. Amen. "Take the helmet of salvation and the sword of the Spirit, which is the word of God." There are natural reflexes and conditioned reflexes. For instance, if you touch a hot iron and pull away, that’s a natural reflex. A conditioned reflex, however, is something you’ve taught yourself to do, like drive a car. When you’re first learning to drive, there are a lot of things to remember: put the car in gear, look over your shoulder, and use the turn signal. But after you’ve been driving for a while, you don’t have to think about those things anymore. You’ve learned to do them automatically. We want to develop a conditioned reflex when it comes to our spiritual lives. In Ephesians 6, the last weapon Paul lists in the Christian’s spiritual arsenal is the sword of the Spirit, which is the Word of God. You can have all the greatest armor, but if you don’t have the sword, the enemy will take you out. We need to learn how to use the sword of the Spirit. What shape is your sword in? Is it polished from daily use as you study the Scriptures on a regular basis and sharpen it on the anvil of experience as you obey what it says? Or, is it rusty and dull from disobedience? If you neglect the Scriptures, your spiritual life will unravel. 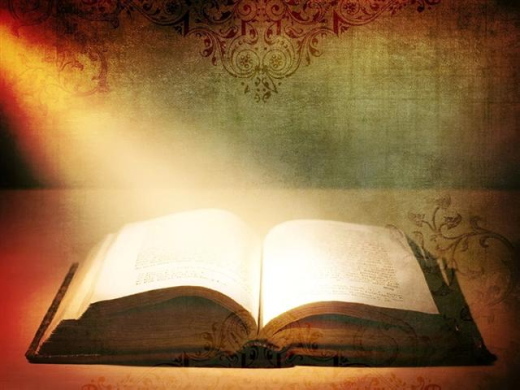 You need God’s Word in your life. We need to learn how to use the sword of the Spirit! For whatever reason, from the time they’re little boys guys like to show off their scars. A polite conversation with any average group of guys can suddenly turn into some bizarre, male-bonding ritual. 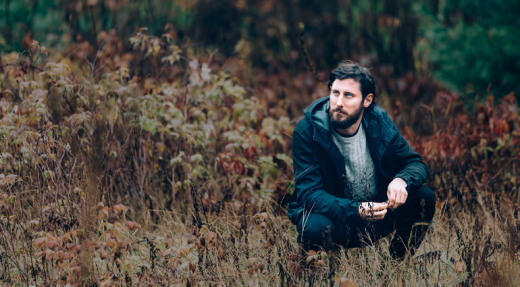 First someone tells a story about crashing his mountain bike and the resulting scar on his knee. Then another guy regales the group about the scar left from his shoulder surgery. Another points out the scar on his hand and tells about his hunting-knife accident. Before you know it, the whole group is showing off their scars and relating the incidents behind the wounds. 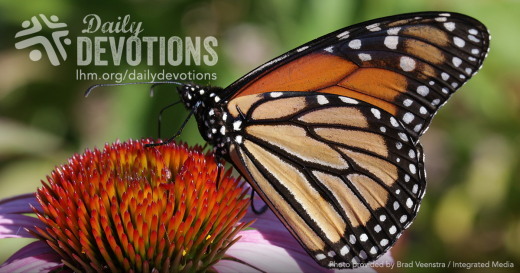 Today’s passage tells us that God likes to do this as well—not to one-up anyone else with another great story but to reassure us of his devotion to his people. In truth, there is something interesting about scars: They follow us wherever we go, and the stories behind them remind us of significant people and events in our lives. The people of Israel had certainly wandered all over the place—both physically and spiritually. After the nation had faced devastation, occupation and deportation by King Nebuchadnezzar and the Babylonian armies, the people of Israel wondered, “God, have you forgotten us?” God answered through the prophet Isaiah: “I will not forget you! See, I have engraved you on the palms of my hands” (Isaiah 49:15–16). Did you know that God bears a scar on his hand in the shape of your picture? Of course, because God is a spirit, he doesn’t have a literal hand. But you’re so present on God’s mind that it’s as though he has engraved your image on the palms of his hands. 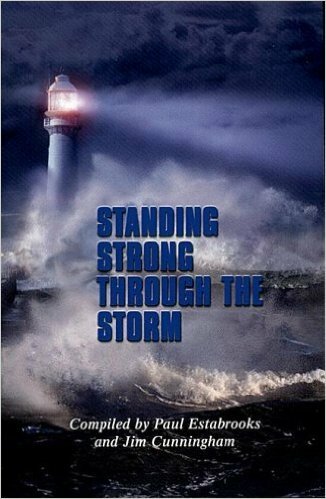 Perhaps the fury of whatever storm you’re facing dims God’s voice and blurs his presence. You might ask, “God, have you forgotten me?” How can he be present in the midst of your turmoil? 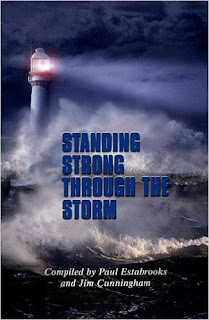 But regardless of the storm’s intensity, you remain in the forefront of God’s thoughts. He’s thinking of you, sustaining you, comforting you, giving you strength. He doesn’t mentally check out. Whatever challenge you’re facing isn’t the worst thing that could happen to you. The worst that could happen would be for God to forget about you. But he hasn’t yet, and he never will. Do you find it hard to accept that God knows your needs and cares for you to the extent that you’re always on his mind? Why? How can you foster a deeper and more constant trust in the reality that God is always present with you? Life is worth nothing unless I use it for doing the work assigned me by the Lord Jesus – the work of telling others the Good News about God’s mighty kindness and love. God uses our work as one of His tools to mold us into who He wants us to be. When we learn to trust God with our work, we can then view our job as an opportunity to provide the tools we need to accomplish our life mission. Paul worked as a tentmaker, a church planter, and an author. His purpose and mission never changed, but his work certainly did. Many of us do not need a different job. We simply need a different attitude and a new point of view about the job we have. Begin by envisioning Jesus standing in the midst of your work place as your real boss. Then look for the life lessons God provides through your work. God uses my work to teach me responsibility. Meeting deadlines, completing assigned tasks with excellence, showing respect for co-workers (even the abrasive ones) and working without supervision are all valuable life lessons learned on the job. God uses my work to teach me about relationships. Cooperation, fairness, flexibility, humility and patience are relationship skills of a successful worker. Our workplace is not only one of our God-ordained mission fields; it is a classroom for learning to love the unlovable, forgive the unforgivable and, in short, be “God with skin on.” You may very well be the only sermon your co-workers ever hear. God uses my work to teach me how to serve. The way we serve God is by serving others. God wants us to grow spiritually at work by becoming a servant to those with whom we work. It is easy to serve those who sit beside us on a pew each Sunday, but a real servant serves on the job. Attitudes never sit still. They constantly move and change. An attitude is a pattern of thinking, a filter through which we view life. We can choose to be honest about our attitude at work and we can choose to change our attitude about work, but most importantly, we can choose to pray for God’s attitude about work. Many people never experience success in their work because they are in the wrong work to begin with. Not me. As a high school student, I knew I wanted to be a nurse. My mother was a nurse and I wanted to be just like her, so I became a student volunteer at the hospital where my mother worked. When I told her the good news, she thought for a moment and then simply said, "That's great, honey. You'll make a wonderful nurse." On my first day, I eagerly donned the required red and white striped uniform and reported for duty. The head nurse welcomed me and explained that I would be checking each patient to make sure they had water to drink, magazines to read, and a listening ear. That sounded simple enough. "Oh, and one more thing," she continued. In retrospect, I should have instantly recognized the danger in those words and run for the nearest exit. In my ignorance, I stayed. "Since we are short-handed, I may ask you to do just a few things to help the other nurses on duty," she said. "No problem" I assured her. At that precise moment, a scream pierced the air! The head nurse calmly looked at me, smiled and said, "Could you check on that, please?" Surely, I had misunderstood her. "Now!" she continued. Taking a deep breath, I headed in the direction of the scream, praying that that it was nothing more than the celebratory cry of someone who had just won a million dollars. As I neared the room in question, a bedpan flew through the doorway in front of me, landing at my feet. Furthermore, the bedpan was not empty. I decided right then and there that nursing was not for me, turned in my candy cane apron, and raced for the nearest exit. Mama was waiting for me as I stepped off the elevator. She smiled, handed me the cars keys, and simply said "See you at home." Fortunately, I had a wise and wonderful mother who knew me well. From that day on she encouraged me to be the teacher God created me to be. God has a unique plan for each one of us. Our greatest opportunity for success is to live that plan. I believe God tucks into our very soul a holy discontentment with anything but His life "recipe.” We must learn to trust Him for that plan and settle for nothing less than the work He has for us to do. Father, I want to follow Your plan for my life. Help me walk in daily obedience so that Your unique and perfect plan for my life will naturally unfold before me. When I am discouraged because of the work I am doing, give me Your peace and the assurance that I am in the right spot doing the right things You created me to do. God always reveals His plan to a seeking heart. Are you willing to do whatever God asks you to do? Read Jeremiah 29:11 and record it in your journal. "For I know the plans I have for you," declares the LORD, "plans to prosper you and not to harm you, plans to give you hope and a future" (NIV). Ask God for His direction. Pay attention to the passion of your heart. Realistically evaluate your abilities and talents. Consider the advice of those who know you best. Then step out in faith, trusting God to help you make the right choice about your work. Trust can be a scary proposition … unless you are sure of the person you are trusting. Mary’s book, 10-Day Trust Adventure, will help you take that step of faith. LHM Daily Devotion - November 23, 2017 "Fulfilling Your Purpose"
As He (Jesus) passed by, He saw a man blind from birth. And His disciples asked Him, "Rabbi, who sinned, this man or his parents, that he was born blind?" Jesus answered, "It was not that this man sinned, or his parents, but that the works of God might be displayed in him." Sixty-six-year-old contractor, Oon Seen, was driving home from work in Baling, Malaysia, when he came across a head-on collision. His first thought was to free the victims using a hand axe to break the windows. A locked door forced him to use the axe to break the lock and force the door open with his legs. He was able to pull 37-year-old Sri Nursuzawilati from her car before it was engulfed in flames. Seen believes he just happened to be at the right place and time. "I was just helping someone in need, and we must help whenever we can," he said humbly. He gets it. He understands we are here to help others. Of course, we may not know the time or event or needed action until we are there. Have you ever thought of some of the people in the Bible who were in the right place at the right time? Have you ever wondered at their patience as they waited for that time to come or their courage to face what had to be done? Think upon Moses. He thought he knew God's purpose for his life and how he was to help his people, the Israelites. When Moses was 40 years old, he saw an Egyptian beating an Israelite. Moses killed the Egyptian (see Exodus 2, Acts 7). Acts 7 tells us that Moses supposed his brothers would understand that God was using him to save them. He supposed wrongly. Moses had to flee and live 40 years as an exiled shepherd before God called him back to help His people. Think upon the work done by Esther. Esther was a humble orphan girl, but God made her wife of the world's most powerful man. When an enemy plotted to destroy her people, she was afraid to intercede for them. Eventually, her uncle Mordecai reminded Esther she may have been placed in her position "for such a time as this." Yet another person from the Bible who had both patience and courage was the man who was born blind (see John 9:1-12). Imagine, he had spent his entire childhood unable to see mother or father, unable to go places without assistance, being forced to beg for a living outside of the temple. In the text above, Jesus says the man had been born blind "so that the work of God might be displayed in him." Was it worth it? I hear no complaint from him about the past. What he did do was rejoice. The ex-blind man rejoiced that his earthly vision had been restored and, at the same time, he was given the faith and insight to see the Savior. He could worship Jesus who had come to offer His life to lead people out of sin's darkness, into the God-given light of faith in the Redeemer. But our miracle man's faith was not confined to gazing at the Redeemer. No, he confessed that faith in a powerful witness that shut down the judgmental Pharisees. He said, "If this man were not from God, He could do nothing" (John 9:33). The man became just one more biblical person who helps us understand that while our situations and circumstances might be isolating, painful, or frightening, they may also be a springboard the Lord can use to display His power in our lives. THE PRAYER: Dear Heavenly Father, we thank You that You have created us for a purpose. Please grant us the vision to see Your will in our lives and the wisdom to trust You when we cannot. In Jesus' Name. Amen. CPTLN Devocional de 30 de Noviembre de 2017 - "Ser yo mismo"
¿Ha pensado alguna vez que su vida sería más fácil si usted fuera otra persona? Si es así, quizás aprenda algo de un experimento realizado por un estudiante de 19 años de edad. Este joven trató de averiguar cómo reaccionaría la gente si él viviera y actuara como el más notable de los santos católicos: San Francisco de Asís. Imitando a San Francisco, este joven se dedicó a mendigar, se bañó con nieve derretida, se vistió con una túnica muy sencilla, habló con los animales, etc. ¿Qué sucedió? Las personas susurraban a sus espaldas, algunos llamaron a la policía y otros lo miraron como si estuviera loco. Las reacciones fueron prácticamente las mismas que las que tuvieron los contemporáneos de San Francisco de Asís. Con los animales tampoco tuvo suerte. "Traté de hablar con algunos pájaros," dijo el estudiante, "pero todos salieron volando". Por ventajoso que pensemos que sería ser como alguien más, lo cierto es que no tenemos la capacidad de convertirnos en alguien diferente. Sólo podemos ser nosotros mismos, con todos nuestros pecados y defectos. Esto no es ninguna sorpresa, ¿no es cierto? Lo qué quizás si pueda ser sorpresa para algunos es que, a pesar de nuestros pecados y defectos, el Señor aún nos ama y quiere salvarnos. Para eso Jesús vino al mundo. Esa es la razón por la que Jesús vivió por nosotros; la razón por la que resistió las tentaciones a pecar; la razón por la que se sacrificó en la cruz y también es la razón por la qué resucitó al tercer día. 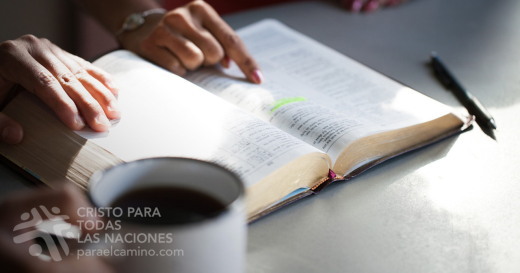 Gracias a Jesús, todos los que creen en él descubren que se han convertido en alguien diferente, pues en Jesús somos perdonados, regenerados, y salvos. ORACIÓN: Querido Salvador, te doy gracias por amarme a pesar de ser pecador, y por haberte dado a ti mismo para que yo pudiese ser cambiado y salvo. Ayúdame a reflejar tu gracia a quienes aún no saben que tú los puedes transformar. En tu nombre. Amén.